Farmers Market: every Thursday, through October 19 in Cook Park from 7:00 a.m. to 1:00 p.m. Fifty vendors grace the grounds of Cook Park with fresh produce, baked goods and treats. My favorites include farm fresh eggs, locally-grown herbs and three flavors of local maple syrup. Lunch in the Park: Fridays, through August 18 from 11:00 a.m. to 2:00 p.m. Phone a friend and enjoy a picnic lunch from local restaurants in beautiful Cook Park and live music. Pack up the kids and a blanket and meet your neighbors for a great time in the park. Eating alfresco and playing in the park is quintessentially summer in Libertyville. First Fridays: Fridays, August 4 and September 1 from 6:00 p.m. to 9:00 p.m. Stoll the shops of MainStreet Libertyville and enjoy live music, special discounts and drinks and appetizers. Be sure to budget time to dine at one of Libertyville’s restaurants while you are out for the evening. First Fridays extends through fall, too. Dessert Walk: Saturday, August 5 from 12:00 p.m. to 3:00 p.m. Purchase your Dessert Walk ticket in advance and enjoy impressive desserts at MainStreet Libertyville stores and restaurants at this family-friendly event. Expect to walk the three-block radius of the downtown Libertyville while on the Dessert Walk. Held in conjunction with the Adler Center Festival of the Arts, take a convenient break between treats and relish the arts in Cook Park. Car Fun on 21: Wednesdays, August 16 and September 20 from 5:00 p.m. to 9:00 p.m. (just in time for the one final fling of summer in September). Classic cars and great tunes fill Church Street and and Cook Avenue for a great evening out with the family. Food is also available for purchase in the park. Twilight 5K Shuffle: Sunday, September 10 from 5:00 p.m. to 6:00 p.m., lace up your running shoes and enjoy an early-evening run through the town and a post-race party at Mickey Finn’s Brewery. Tickets to the post-race party are also available for family members of participants. Register here for the event. Savor Libertyville: A Chef Fest: September 30, 6:00 p.m. to 10:00 p.m. Support both MainStreet Libertyville and the David Adler Music and Arts Center by spending an evening at the Adler Estate sampling gourmet chef creations, cocktails and sweets. Register in advance for this must-attend event. 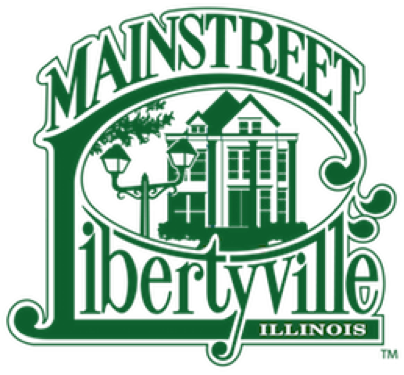 Fall may be just around the corner, but summer is still swinging strong thanks to MainStreet Libertyville. What event will you enjoy next? Jennifer Johnson is a Libertyville resident who also writes for Little Lake County.